BN1’s top picks for Brighton Fringe. Cirkus Xanti and Ali Williams, together with some exceptional performers from Nepal, ask questions about life, love, poverty and greed. Using spoken word, movement, circus and ceremony, they tell the story of how against all odds they survived their childhood and created their own destiny. A moving, authentic, raw and heart-warming performance about life and circus, entertainment and reflection. This performance is inspired by the lives and destiny of its performers Renu and Aman, and their experiences as child circus slaves in India. It also highlights the story of other Nepalese children being trafficked into slavery in Indian traditional circus. 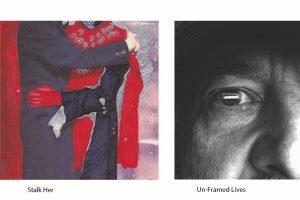 A photographic exhibition and panel discussion exploring the lived experiences of homelessness around the city of Brighton. It’s a creative collaboration between individuals who have endured homelessness, artists and researchers. This collective is formed of two projects: research–based photo elicitation co-organised by PhD researcher Bruno De Oliveira and photographer Lee Radford and MYBRIGHTON&HOVE Photo Project. They’ve been running photographic workshops around experiences of the welfare state during austerity. These images will be representative of all people experiencing homelessness in all its facets – hostels, street homeless, sofa-surfing and including minority groups and those whose voice is often side-lined or goes unheard. A visual meditation on the artist’s experience of being stalked by a former lover over the course of five years. Within the walls of a gallery space the fragments of stalking are revealed as artefacts and items of curiosity and the encounters of stalking are recreated as ‘crimescenes’. intrusive and intimidating form of harassment to which this art installation is held up as a means of empowerment. culture and learn about the history of drag. people to explore and discuss drag this Fringe. It’s run by young people studying on the Event Management course at Dv8 Sussex; a creative college for 16-19s based in Brighton. Adapted by Sarah Ruhl, Virginia Woolf’s Orlando plays with character constructs, switching parts from actor to actor. What, they wondered, does a man’s experience bring to the portrayal of Queen Elizabeth I, and what does a young woman bring to the portrayal of a 16th Century Russian Sea Captain? The piece has been called ‘the longest and most charming love-letter in history’, but this 90-year old story resonates with today’s queer politics beneath its fun and frivolous surface. 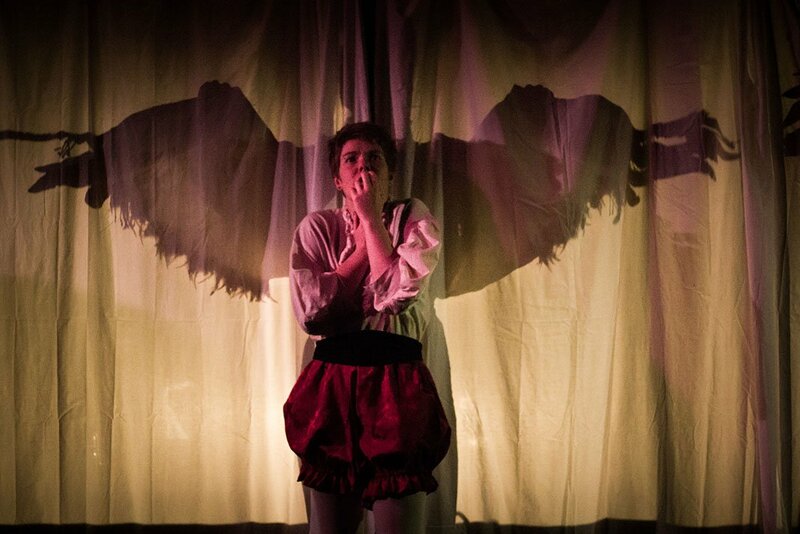 Performed by Marvellous Machine, a young, unfunded theatre company, it transports audiences from the court of Queen Elizabeth I to the mystical sands of Constantinople.